Disabled veterans can collect Social Security Disability benefits, but unfortunately a 100 percent VA disability rating does not guarantee SSDI claim approval. For Illinois claims, a Chicago Social Security attorney can explain the complex issues that are often associated with a SSDI claim approval. 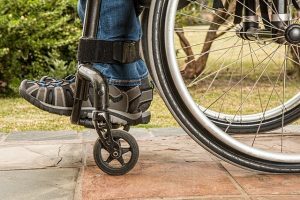 The Social Security Administration (SSA) and the Veterans Administration (VA) evaluate disability claims with different criteria. The SSA only considers a condition disabling if it prevents employment and lasts longer than 12 months. A condition that merits a 100 percent disability VA rating may still permit light or sedentary work. The VA also considers that 100 percent disabling conditions may improve within a 12-month period. Although the SSA weighs the findings of other governmental agencies when deciding disability benefits, it ultimately makes its own independent decisions. The SSA requires documented medical evidence , but they will also consider subjective evidence like clinical and medical assessments from doctors, and personal statements and reports from a person’s family, co-workers and friends. If a veteran is suffering from a condition that’s listed in the Social Security Disability Evaluation Book, the condition is automatically considered to be disabling. If a veteran is experiencing symptoms of a condition that are comparable in severity to symptoms of a condition listed in the Social Security Disability Evaluation Book, the condition is automatically considered to be disabling. The SSA grants medical vocational allowances only after analyzing a veteran’s condition, functional limitations and work history. The SSA does not prevent active-duty service members who are receiving military pay from collecting SSDI benefits. For these individuals, the SSA considers the nature of the employment rather than the pay scale. For all other non active-duty and/or disabled veterans, SSA requires a person to have a sufficient earnings record and work credits. In 2016, every $1,260 of earnings equates to one work credit, and four credits can be earned each year. The number of credits necessary depends on a person’s age, with a maximum number of credits needed set at 40. The SSA typically will not award benefits to people earning a monthly income that exceeds $1,090. For Illinois veterans who receive compensation for light work duties, establishing a 100 percent VA disability rating can be challenging. A Chicago Social Security attorney is often necessary to handle complex issues that may impact a veteran’s SSDI claim approval.